That brings the running total for Austin Bakes for Nepal to $6930.21! 100% will be donated to AmeriCares for relief efforts going on now in Nepal. Our FirstGiving page for online donations is still open for donations until Sunday, May 31, so there’s still time to donate if you have not already. We’ll report updated totals once we have that information. The show of generosity and sense of community on Saturday was moving and inspiring. One woman rushed to the bake sale at the Whip In on her bicycle just before 2:00, having just gotten off of work, and shared stories of time she spent in Nepal and the people she met there. And while she said her budget was exceedingly tight, she wanted to contribute as much as she could. Her commitment to contributing help in whatever way she could was matched by so many across the city, through their donations and their time. Again, we can not express our thanks enough to all who helped. 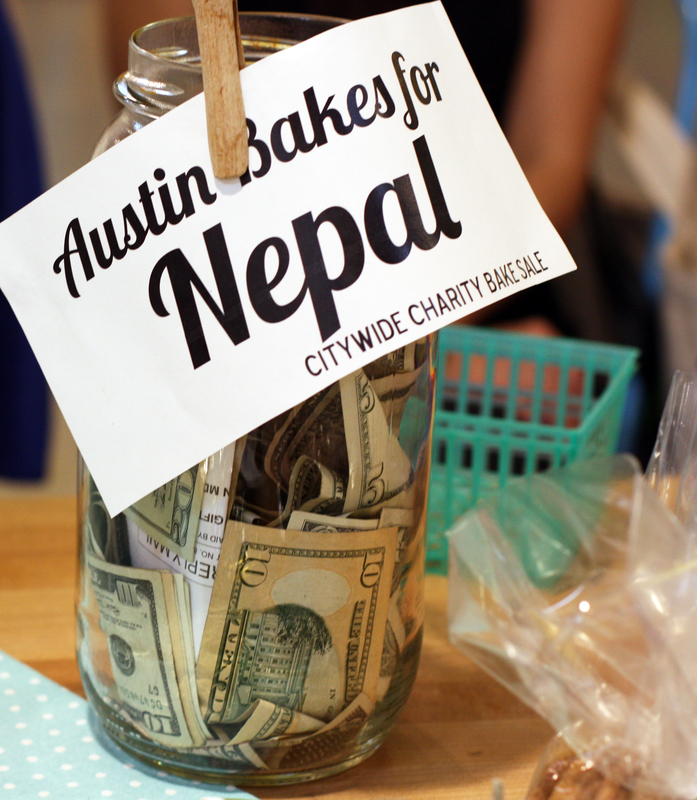 This entry was posted in Austin Bakes for Nepal, Blog, Past Sales, Uncategorized by lrawlinson2. Bookmark the permalink. It was such an honor to volunteer for this event. Also I’m ready and willing to bake and work a bake sale for the austin flood victims.